Kangra: Chief Minister Shri Virbhadra Singh today announced a degree college at Dehra besides Primary Health Centre and ITI at Bankhandi (Kallar) in Kangra district. He also announced up-gradation of Government High School Dhawala to Senior Secondary School. He made these announcements while addressing a public meeting at Bankhandi in Dehra assembly constituency after laying foundation stone of argumentation of lift drinking water supply scheme to be constructed at a cost of Rs. 23.95 crore which will benefit 19 panchayats of the area. The Chief Minister also announced up-gradation of Government High Schools Mangar to Government Senior Secondary School, to start science classes in GSSS Bhatoli and Phakorian. He announced funds for construction of school building of GSSS Bankhandi and Kherian. He also announced sub division of PWD at Haripur and agreed for additional budget for completion of Chief Ministers announcements made earlier. He also agreed for Ayurveda Dispensary in Gram Panchayats Dhar and Khabli and electric transformer in Nichla Karyara. 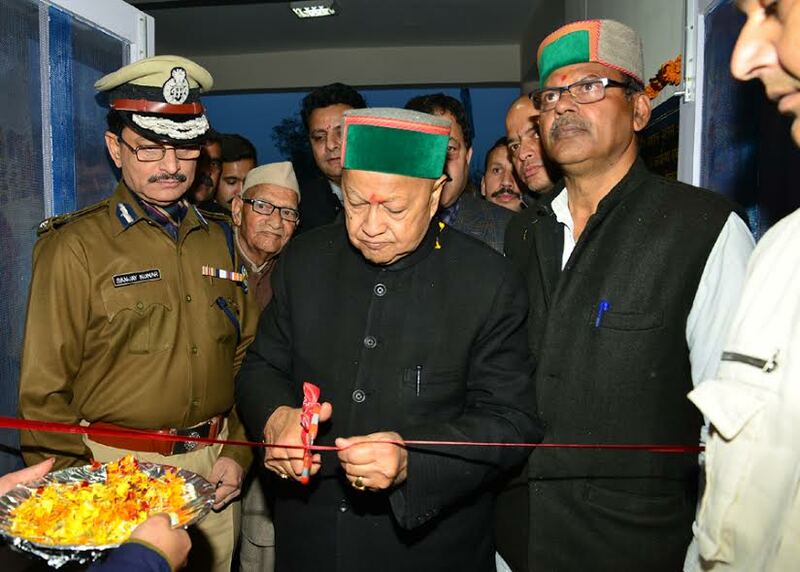 Shri Virbhadra Singh agreed to the demand of constructing concrete road from Banne-Di-Hatti to FCI Godown and construction of 3.5 Kilometer Thathar-Tripal Khas-Basa road and construction of roads of less than three kilometers viz: Haripur Main Bazar-Guga Temple-Sheetala Mata road, Rahan-Mahewa Road and Kathog-Panjala-Kundali Har road. He said that Himachal Pradesh had been adjudged as the best Big State in the field on education and inclusive development. He said that equitable development of all areas had been motto of the state government and Dehra constituency was not lagging behind. However, he expressed dissatisfaction that not even once the sitting MLA gave list of priorities for this assembly segment. The Chief Minister said that it was his experience that conspiracy never pays in politics and the one who works sincerely will get the reward. Citing example of Dadour college, he said that whenever we tried to do anything for Dehra the opposition leaders knocked at the door of the courts to oppose the same. He said the sitting MLA from Dehra instead of criticising should work for the development of the area. 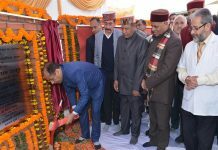 Later, he laid foundation stone of building of Government High School, Gherwin to cost Rs.59.35 lakh and inaugurated residence of Deputy Superintendent at Dehra completed with an outlay of Rs. 85.57 lakh. Brigadier Rajinder Rana, who fought elections on Congress ticket from Dehra lamented that few people were spreading rumours that the tour of Chief Minister had been cancelled. Not only those in BJP, but those few within the party fold were also involved in spreading such rumours keeping people guessing about the tour. He also placed few demands of the area before the Chief Minister. Urban Development Minister Shri Sudhir Sharma, State Youth Congress President Shri Vikramaditya Singh, MLA Shri Sanjay Rattan, Vice-Chairman, Freedom Fighters Welfare Board Shri Sushil Rattan, former MLAs Shri Nikhil Rajour and Shri Yog Raj, Vice-Chairman, Workers Welfare Board Shri Surinder Mankotia were also present on the occasion amongst others.